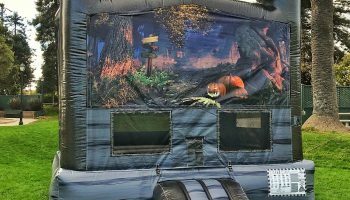 Put smiles on your guests and choose our Halloween Haunted Mansion Bounce House Rental for your next Halloween Or Harvest party event. 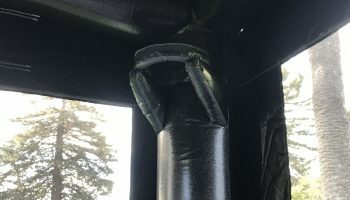 This Beautiful looking bounce house rental will fit right in for that special time of the year. 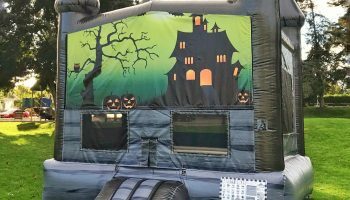 We have out done ourself when we designed this Halloween Haunted Mansion Bounce House Rental. Included in this Jump House rental we have two different choices of art panels that we can install on top of the Halloween Haunted Mansion Bounce House Rental. We also know how children love to bounce and keep busy while enjoying this special made inflatable. 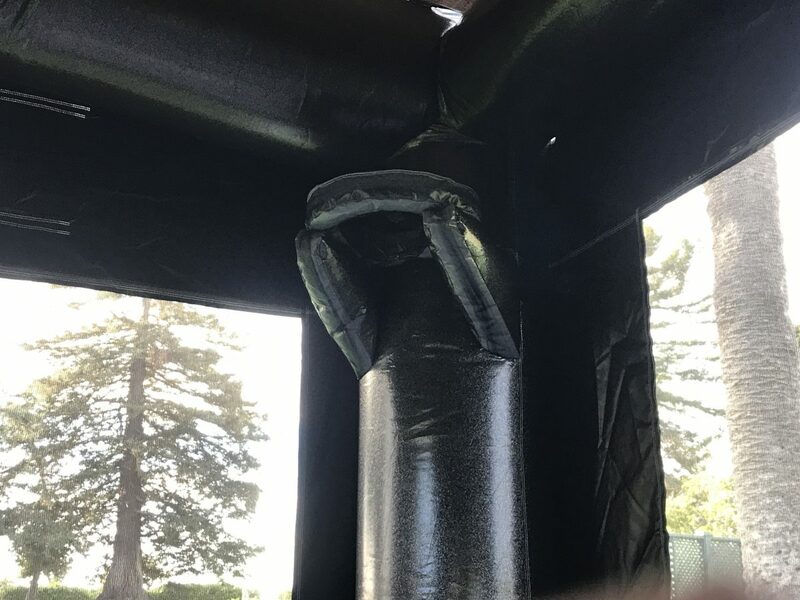 As a added feature we also have a basketball hoop made in the inside of the inflatable so the kids can take turn shooting some hoops. The beautiful design has some special made black sparkle material that shines and sparkles in the sun. Please let us know when ordering which art panel you like best so we can make your event extra special. 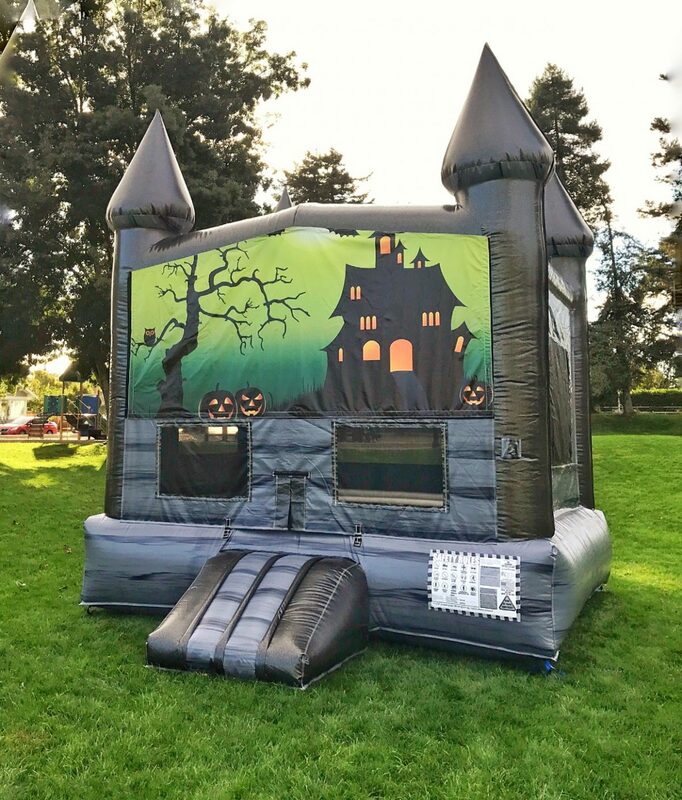 We create special items like the Halloween Haunted Mansion Bounce House Rental for many different reasons to make us stand out from just the normal rental companies. All our Bounce House Rentals are always safe and clean and ready to keep your children entertained at your event. Price: Rental rate ranges from $125.00 to $149.00 Please call us at 888-630-3866 with your zip code and the location of your party (example: home or park). 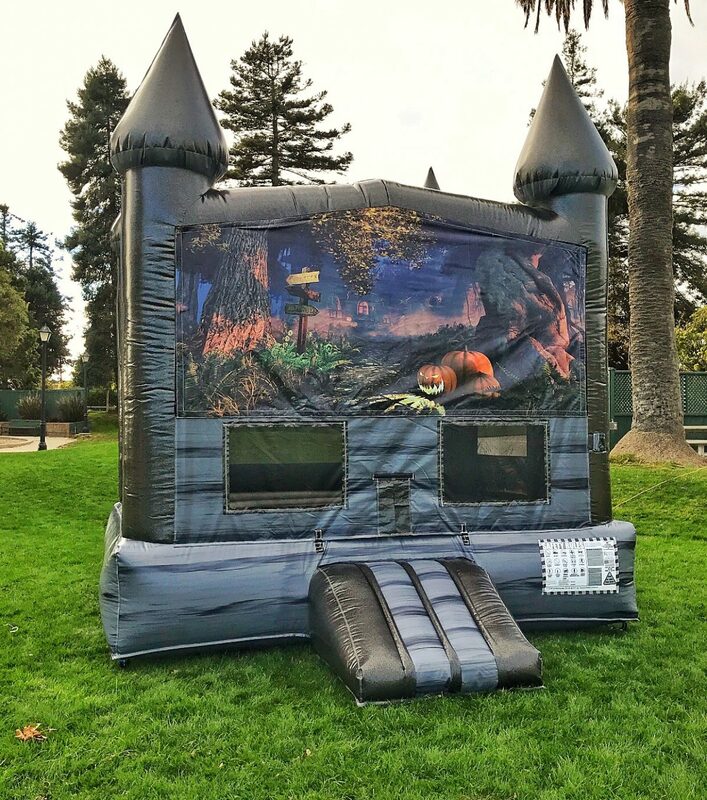 We can not do this Halloween Haunted Mansion Bounce House Rental in any dirt or rainy conditions.